The National Education Department is responsible for organising campaigns against cuts to higher education funding, fee increases and a plethora of other issues affecting students. In 2019, the NUS Education Department is working on the Federal Election campaign, A Future Worth Fighting For. In the lead-up to the Federal Election, NUS is fighting to put student issues on the agenda. We’re surveying students on what matters to them, and putting forward policy goals to address their concerns. After many years with the only political topic on unis and TAFEs being funding - and very little about the future of education - we want action. A future worth fighting for is one with an action plan for climate change, practical and immediate policies on renewable energy and corporate waste that will save our lives, because it’s almost too late to save the planet. It’s one with a national taskforce into sexual violence in university communities. It’s one that has better welfare support for students and that makes the goal of affordable living more than just a pipe dream. And it’s a future that sees students supported in their education, with fair and fully funded universities and TAFEs. 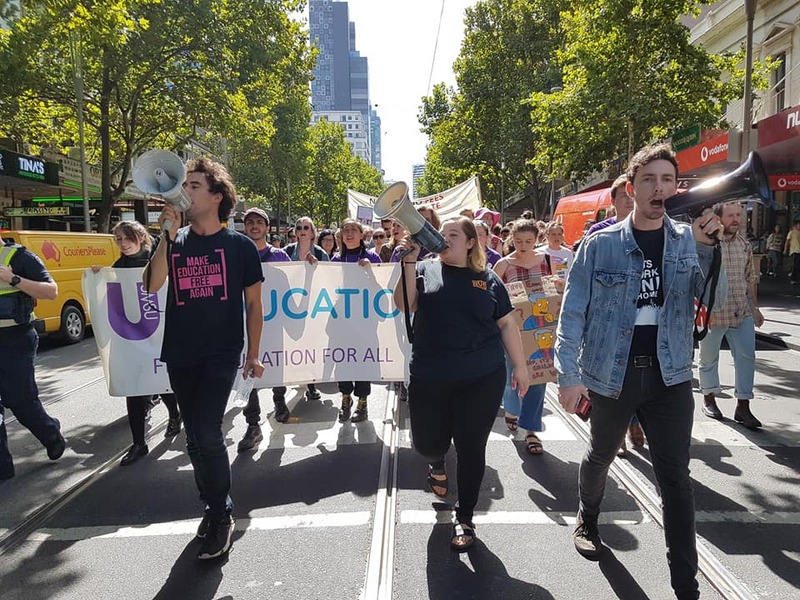 At a national level, the Education Department organises rallies across the country against cuts to higher education, and policy changes that negatively impact students. The department also works on submissions to the Government and other stakeholders, working to build pressure for change and also directly represent the views of students. This year we are also fighting for commitments to better fund TAFE and support vocational students, and a change in SSAF legislation; we are also partnering with other organisations fighting for action on climate change and social justice.